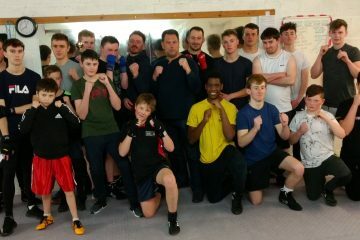 Team Kings volunteer Steve Johnson along with head coach Chris Rattenbury recently passed the ABA referee course which Steve used to referee contests at the Launceston boxing show. 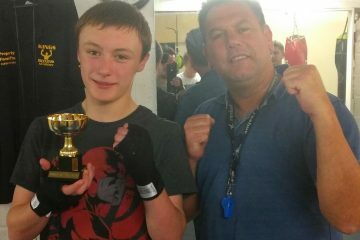 Also proud dad moment for Steve as his son Harvey Johnson boxed for the 1st time in a skills contest. After the show Team Kings mixed with celebrities including Cornish comedian Jethro. Team Kings still unbeaten in the last 8 contests. Lots of people are queuing up to join our winning team! 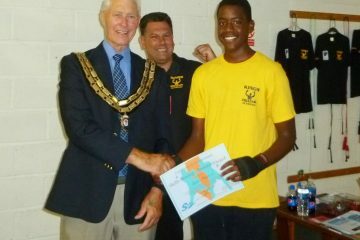 Kings Boxing Academy wish to congratulate our club Patron Devon County Councillor Ron Peart on his 3rd year of election as Kingsteignton Town Mayor. We are honoured and proud to have such a true gent in our Team. In other news….Bobby ‘Bobcat’ Cane wins again in opponent’s back yard. Team Kings are now unbeaten in last 6 contests! 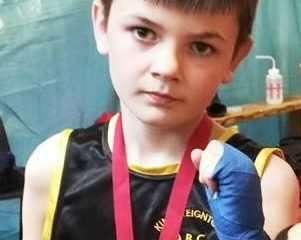 We’re proud to announce that Bobby Cane will be representing Kings Boxing Academy at the National schools championships. These take place in February. 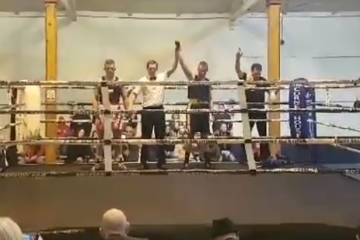 Here we see Bobby Cain in his first full contest against Charlie Ludwell from Barnstaple. 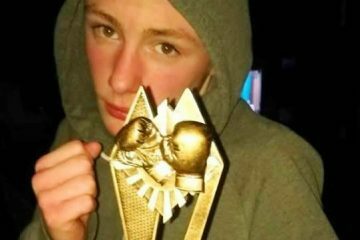 The award scheme is working well for the under 16’s and each week we have a winner for ‘Boxer of the week’ This weeks winner is Charlie.